There were 6,045 major hail storms in 2017 alone across America, according to the NOAA’s Severe Storms database, resulting in millions of individual car damage claims – and billions paid out. Georgia not only has a large share of storms – most Georgia car owners & repair shops are not prepared for a large storm event. Even a small hail event in a metro area like Atlanta, Athens or Augusta can cause serious headaches for local body shops, car dealers, and claims agents. A hail storm response without proper management or planning can result in missed business opportunities, angry customers, massive paperwork, liability exposure, and general headaches. At EZ Dent we are the definition of hail repair experts. Locally based in Athens, GA we can help you scale your hail storm repair management. We have years of experience with both paintless dent repair and hail storm response. You can’t bill out work that you can’t do. We can help you repair more cars – without having to hire new specialists in the middle of a hail response. Bringing in outside companies can be high cost and high risk. Our local presence guarantees that we stand by our work and are here well after other storm chasers have fled the area. Happy customers will come back. And we can help you serve all your new customers so that they will come back to you for all their future needs. Mny customers do not understand the hail process, we make it easy and take the headache away from both you – the shop owner- and your customer. We not only have years of experience in quality paintless dent repair, we also have years of experience managing & doing quality assurance for a team of techs. Your shop can return expertly repaired cars without worry. We also carry $2 mil in general liability as well as workers comp for all of our technicians. It’s helpful to remember the the John Eagle case was over an improperly repaired hail claim. Working with EZ DENT protects you as a shop from being over exposed while working with outside vendors. Unlike many mobile dent repair techs and companies, we have a physical location in Athens, GA. We do not chase storms and will not leave you in the middle of the storm. We have well-trained, insured staff and an owner who can meet you face to face. WE guarantee our work to both you and your customer. In the event that any issues arise we have a written guarantee for all work that we preform. Entering into a partnership should be about trust and shared respect. At EZ DENT we are proud of our reputation and look forward to working with you. 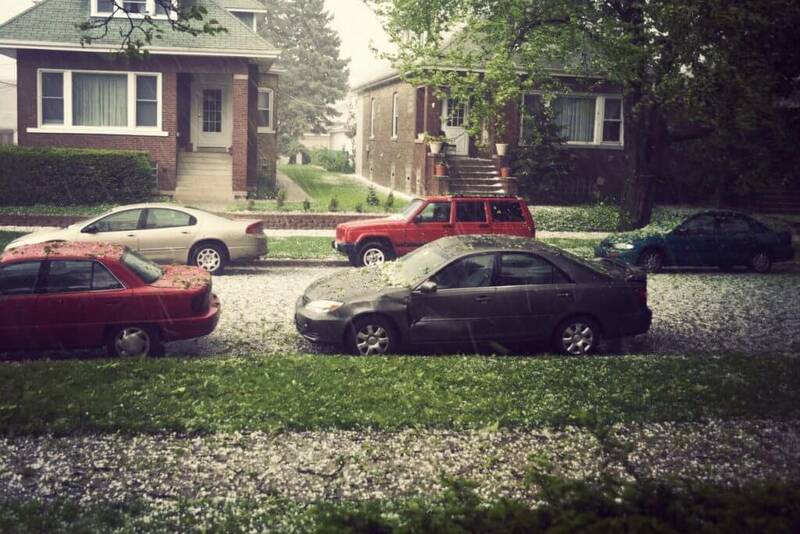 Every year we handle hail claims with all major insurance providers. We understand what you need to get your job done quickly, efficiently & effectively. Whether you are a local agent or adjuster or with a CAT-Claim Team, we are here to make your job easier. In a hail storm response, nothing can slow down insurance work more than misinformation and miscommunication. Our staff has experience processing paperwork efficiently, providing accurate estimates, and providing quality assurance for any partners. Hail damage claims written with the assistance of a certified Paintless Dent Repair shop are over 90% less likely to require any additional supplements. On the other hand – estimates written in the field without the assistance of a properly trained hail technician, virtually all require additional supplements once properly inspected. Unlike many mobile dent repair techs and companies, we have a physical location in Athens, GA. We have well-trained, insured staff and an owner who can meet you face to face. Please reach out to us to create solutions for your hail estimating process. Know that we are here to help you and your clients through this process. No matter the time of year, we’d love to talk with you. Georgia had between 106 hail events last year alone. It certainly pays to be prepared. If you have any questions at all, give us a call at (706) 308-3368!